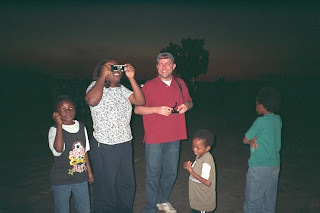 Yours truly and a bunch of abantu during the solar eclipse at Chisamba, north of Lusaka. Great experience! There's a webcast over at the exploratorium.